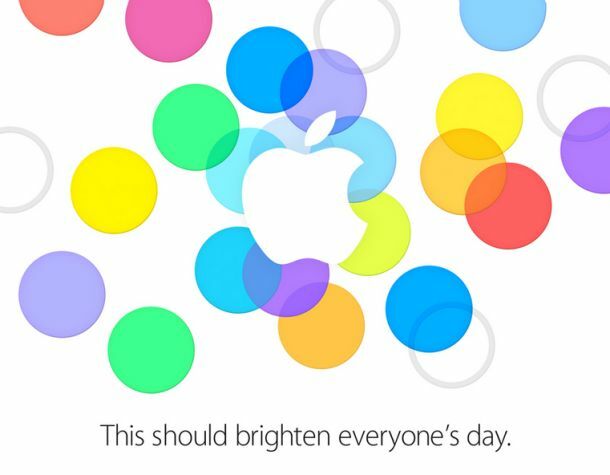 Apple’s first major product event of the year is set to take place on Tuesday, September 10th. There was WWDC in June, but this time around will be all about the iPhone, Apple’s crown jewel. The event will be held in Apple’s Town Hall auditorium at its Cupertino headquarters, which is a venue that was last used for the debut of the iPhone 4S in 2011. The iPhone 5S is expected this year, and like the 4S was to the 4, the device will look nearly identical to the iPhone 5 and focus on internal improvements. For the first time in Apple’s history, the rumor mill is predicting the unveiling of not one, but two new iPhone models at once, with the second being the iPhone 5C. What: Even though iOS 7 has technically been announced already, expect it to still be a big (and probably the first) topic of discussion. iOS 7 changed quite a bit while it was in beta over the summer, and the June unveiling was technically for developers, not the general public. 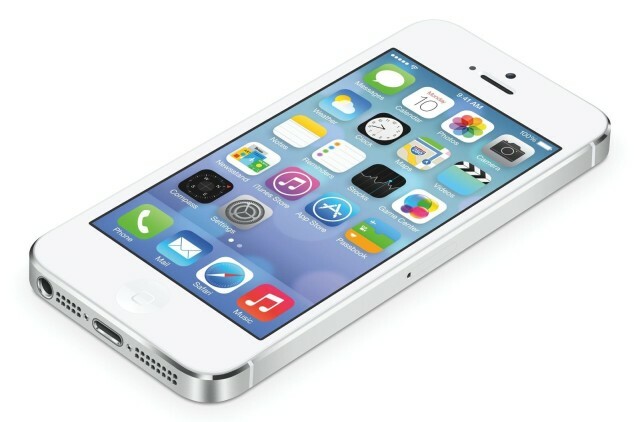 Expect Apple to go through the tentpole features of iOS 7 again at this upcoming event. Since iOS 7 will ship pre-installed on the new iPhones later in September, Apple will need to have it finished in time for launch weekend. When: Based on previously years, Apple will likely release the final iOS 7 GM (Golden Master) to developers the same day as the keynote. The GM version is the same as what the public will get shortly after so developers can have a chance to test their apps before everyone starts using the OS. iOS 6 was released exactly a week after Apple’s iPhone 5 event last year, which gives a good indication of how things will go down this year. Word on the street is that Apple will open up the App Store for iOS 7 apps on Monday, September 16th. The iPad version of the iOS 7 beta has been lagging behind, so it wouldn’t be a surprise if the software isn’t available on the iPad until around Apple’s rumored iPad event in October. What: The iPhone 5S will be the next iteration of last year’s model, and part leaks indicate that the 5S will not change in terms of general shape and size. The biggest feature that has been rumored for the device is a fingerprint sensor that will be built into the home button. Apple bought a company called Authentec last year that specialized in biometric sensors, which adds fuel to the fire. Apple is expected to use the sensor for unlocking the iPhone, and such technology opens the door for eventually authenticating online purchases. The exterior design of the home button will likely not change that much, but don’t be surprised if there are “silver rings” embedded in it—the grey rings in Apple’s invite suddenly make more sense. 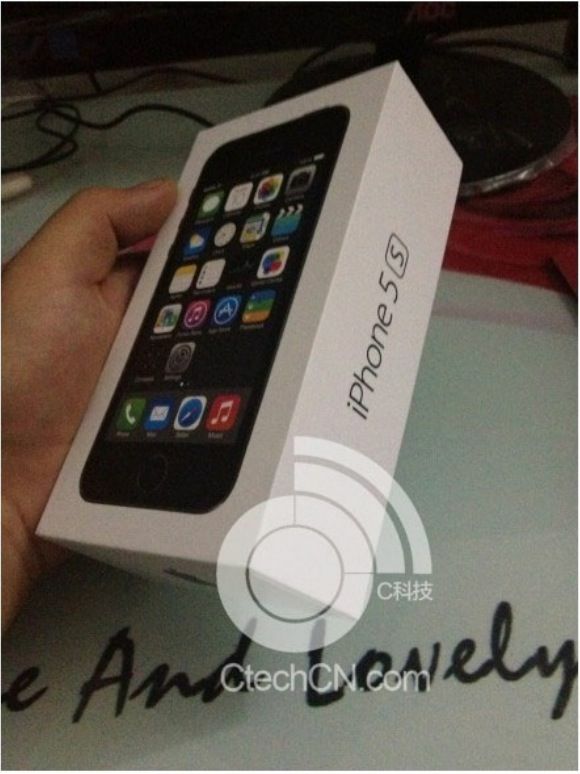 Packaging for the 5S has leaked in China. Besides the fingerprint sensor, the 5S is expected to feature an improved camera with dual-LED flash, a wider aperture, more megapixels, and possibly some fancy slow motion capabilities. The processor will probably be a faster A7 chip that could be 64-bit as well. 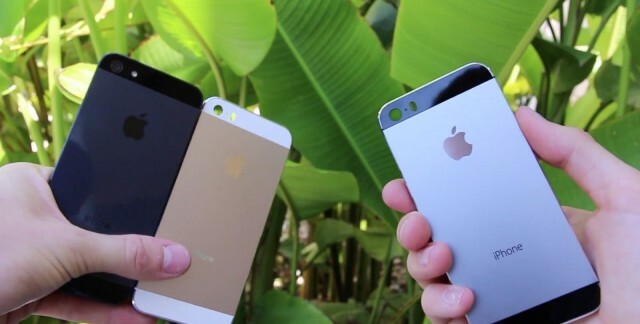 Expect the 5S to come in more than the traditional white and black. A flood of part leaks and reports have said that a gold, or “champagne,” color is coming, and a fourth grey/steel color has been making the rounds. Pricing should stay the same as past iPhones for the 5S, but signs are pointing to Apple bumping the top storage model from 64GB to 128GB. When: Based on history, Apple will likely announce preorders for the 5S during the keynote. If the schedule is going to be like past years, the weekend of the 13th will be when preorders begin, and in-store availability will start the weekend of September 20th. Carriers have been doing vacation blackouts for that weekend, which points to an iPhone launch. What: Since the beginning of this year, reports started surfacing that Apple was planning a cheaper, low-cost iPhone to supplement the flagship 5S. After months and months of rumors and plenty of part leaks, it looks like that will be the case. 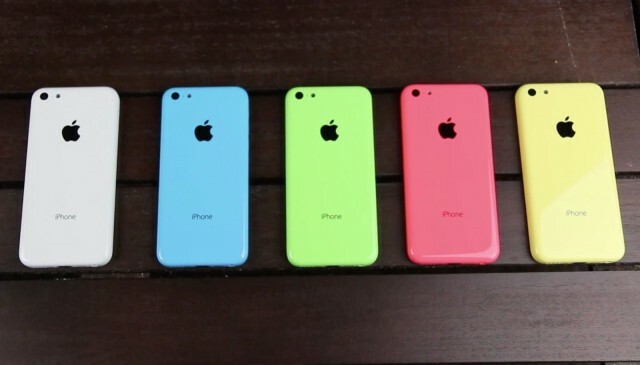 The iPhone 5C will be nearly identical to the iPhone 5, but the device will come in a variety of bright colors. Apple has switched out the metal back for a plastic one, which helps cut manufacturing costs. We expect the 5C to come in five colors, and we’ve seen part leaks for blue, yellow, green, pink, and white. 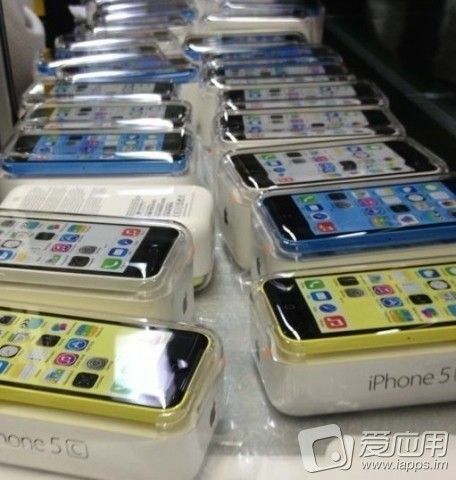 Leaked shots show that the 5C will be packaged like the iPod touch. Why make a cheaper iPhone in the first place? The consensus is that Apple is trying to reach emerging markets in countries like China where carriers don’t subsidize the price of high-end smartphones. Apple is rumored to have a deal in place with China Mobile, the world’s largest carrier, to finally sell the iPhone this fall, and the more attractive pricing of the 5C is expected to help drive sales. The 5C is rumored to cost between $350-$450 without a carrier contract, which is considerably better than the $649 price of the unsubsidized iPhone 5. Pricing with a two-year contract in the U.S. will likely be $99. That lines up with Apple’s strategy of dropping the price on last year’s model by $100. When: The release of the 5C will likely coincide with the 5S. Both phones will ship with iOS 7 installed and be available in the second half of September. Apple won’t introduce updated Apple TV hardware at this event, but a big software update is planned. New AirPlay functionality will make it easier to watch content you purchased from the iTunes Store on a friend’s Apple TV. Purchased content will be accessed via an iOS device and streamed to an Apple TV without needing to log in with the associated Apple ID on the set-top box. Apple hasn’t updated its set-top box in over a year, but new channels from content creators like ESPN, HBO, Vevo, and Disney have been added at a faster rate in recent months. More features to expect for the Apple TV are iTunes Radio, the ability to purchase music from the iTunes Store, the ability to perform setup with an iPhone or iPad, and a ‘Conference Room’ mode for connecting via AirPlay in business or academic settings. 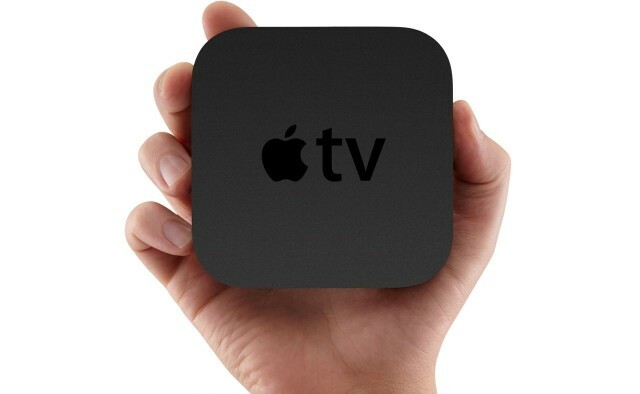 The release of the Apple TV update will likely be timed alongside the release of iOS 7 on the iPhone and iPad. Then there’s the iPod. Apple has given less and less attention to the iPod in recent years as the iPhone and iPad have taken over the lion’s share of profits. Does the iPod warrant stage time now? That’s up to Apple. The fall has traditionally been the time for new iPods, but we wouldn’t be surprised if Apple just updated its existing lineup and announced it with a press release. Stay tuned for more coverage of Apple’s September iPhone event throughout the rest of this month. We’ll be covering the event as it happens on Tuesday, September 10th. The keynote kicks off at 10 a.m. PST/1 p.m. EST.